This cake has a few more steps than your plain poundcake, but it is totally worth it. You will need a good zester or a microplaner for the eight large lemons that are zested. I love the layers of lemon flavor which is such a favorite of mine. The cake has lemon flavor added in three layers. 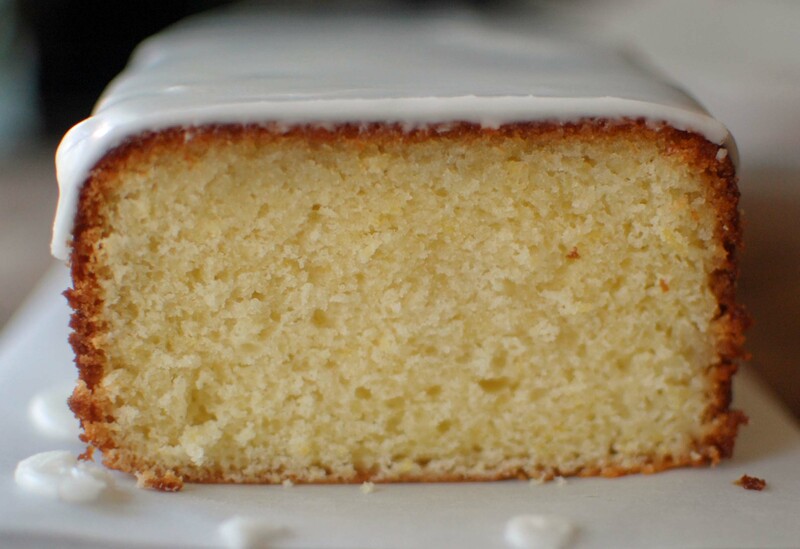 The 1/3 cup of zest and lemon juice go in the batter for the first layer, secondly a lemon syrup is poured over the cake after baking and lastly a lemon glaze is added to the top made with powdered sugar and lemon juice. When cake starts to brown don’t leave it. Watch carefully. Minutes can make the difference between a good cake or a bad dry one. Check by pressing with your finger. The cake should spring back. If the cake has a crusty top use a thin wooden skewer or a cake tester. Insert in the cake and if it comes out clean or with a few crumbs it is done. Let the cake sit for 10 minutes before removing from the pan. Run a spatula around the edge to loosen the cake. 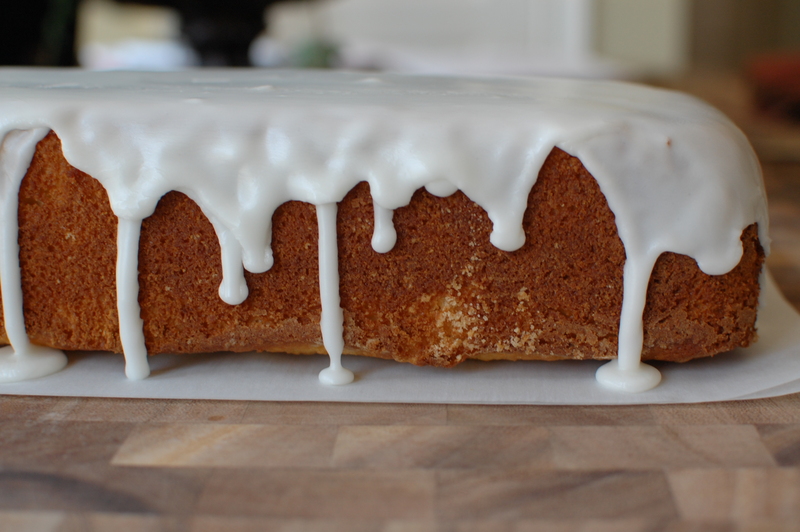 Place a cooling rack over the cake and invert. By the way, my preference is to leave off the top glaze. You know that I am not a fan of frosting. Hope ya’ll are enjoying this wonderful spring day! Cream the butter and 2 cups granulated sugar in the bowl of an electric mixer fitted with the paddle attachment, until light and fluffy, about 5 minutes. With the mixer on medium speed, add the eggs, 1 at a time, and the lemon zest. Divide the batter evenly between the pans, smooth the tops, and bake for 45 minutes to 1 hour, until a cake tester comes out clean. Cook according to the type of pan you may use. My tube pan takes about an hour but the Wilton 16 in loaf takes only about 35 minutes. When the cakes are done, allow to cool for 10 minutes. Remove the cakes from the pans and set them on a rack set over a tray or sheet pan; spoon the lemon syrup over them. I spooned the syrup over the bottoms of the cakes while the syrup was warm. The cake soaked up almost all the syrup. Very little dripped into the pan. Be patient! 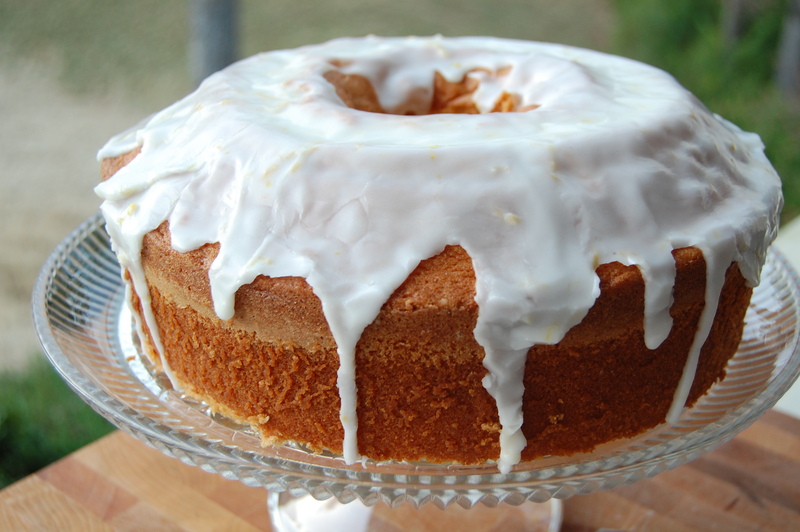 For the glaze, combine the confectioners’ sugar and the lemon juice in a bowl, mixing with a wire whisk until smooth. I threw in some lemon zest for extra flavor. Pour over the tops of the cakes and allow the glaze to drizzle down the sides. I made this cake last night for our book club meeting. It was delicious! Not a crumb left. Thanks Sonya! So glad you enjoyed it. I love this cake.